Retirement development Llys Pegasus, managed by FirstPort Retirement Property Services, has won a silver award, for the consecutive year running, at the National Housing for Older People Awards. 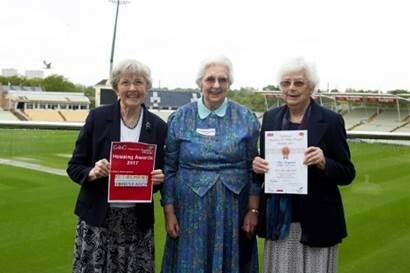 The residents of the development, located in Llanishen, Cardiff, celebrated their win at an awards ceremony at Edgbaston Cricket Ground, Birmingham. More than 10,000 residents from across the UK voted in the awards which are managed by the national housing charity for older people, the Elderly Accommodation Counsel (EAC). In total, three FirstPort developments won an award, with a further five additional development commended.